Multipart tags may seem complicated. But, we take out all of the hassle! 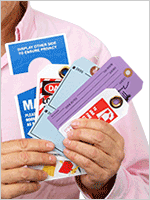 We offer several easy options to make ordering multipart tags as streamlined as possible. • Start with an instant quote. You may then upload your art or a sketch to us. Our team will turn around a proof for you (usually overnight) of a professional tag, at no charge. • Or, use one of our easy templates. Just add your text and we handle the rest. Templates are great for simple form-based and text based manifold tags. Tags are numbered sequentially. This makes tracking easily. 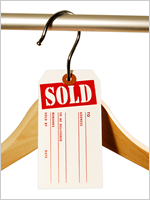 Find many stock designs for easy inventory or other tracking. 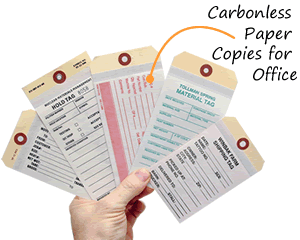 Answer a few questions on your tag (number of paper copies, size, numbering options, etc.) and get an instant quote. Quick Quoter for Manifold Tags! Simply add your own information to one of these designs. Wizard walks you through the process of designing your own custom multipart tag. Form style tags have text with rules to enter information at the time of use of tag. Many sizes and material choices available. 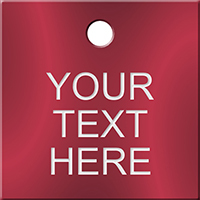 Table style tags have column heads that can be personalized by you. Select from a choice of designs. Simple text based design. Choose from sizes #1 to #8. Variety of materials choices including fluorescent tags! Writable, durable surface. Different styles of text and form offered. No charges for artwork. Get instant quote before making a purchase!